Redneck is coming to trade paperback shelves, for those wanting a new thrilling southern vampire tale in their hands. 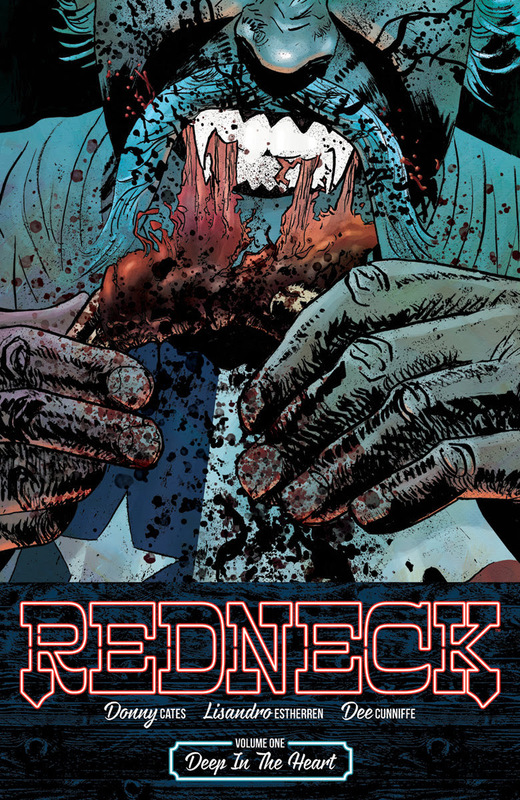 Redneck is the work of writer Donny Cates (God Country, Buzzkill, Atomahawk) and artist Lisandro Estherren, published by Image/Skybound Entertainment. The coming trade paperback will collect issues #1-6 of the ongoing series, and released as Redneck, Volume 1: Deep in the Heart. Redneck, Volume 1: Deep in the Heart trade paperback will arrive in retail stores everywhere on Wednesday, October 25th.